Creating a successful email marketing strategy and campaign takes a lot of time and effort. You’ve had to think of ideas, do some research and put in time to craft well-thought-out email campaigns. But how many times do you take a step back and review its performance? Let’s be honest, probably not that often. Without reviewing your email strategy and campaign you don’t know if your strategy is still fitting its purpose or if it’s actually working for your business. For example, your business might have launched a new service that has a completely different target market. Does your strategy include them too? Review your email campaign reports to determine how effective your past efforts have been. What worked? What needs to be adjusted? What subject line got the most open rates? What type of content was the most popular? By reviewing these areas, you will be able to clearly identify a strategy and set goals for 2018. Having a good content plan is a must and will help you not only be consistent with getting in touch with your subscribers but also save you work in the long run. Don’t know where to start? Start by scheduling in content that ties in with national holidays and industry events; e.g. Christmas, Mother’s Day, Father’s Day etc or perhaps local wedding exhibitions. If you’ve been using the same email template for years, maybe now is the time to give it a bit of a makeover. Most email readers like to skim a newsletter and then focus on the bits that interest them, so don’t overcrowd your email with content that you know won’t get a second look anyway. There are lots of easy ways to update your email template, for example, updating your font, changing your email header, matching your email colours and appearance to be similar to your website or including high-quality images. User experience is becoming more and more personalised and prominent in the marketing world, and in today’s digital world personalisation is paramount to successful email campaigns. This could be as simple as using the recipient’s first name to creating the entire email just for that recipient. The more personal you can get, the better. Sending emails to target audiences increases your email marketing metrics and conversion rates as well as boosting prospect engagement. With more companies sending emails than ever before, it’s important that you target specific groups of people rather than blasting the same campaign to all of your prospects. For example, if you are a family and baby photographer you might want to create lists of new parents, one-year-olds, clients with more than one child etc. This shouldn’t be the only review you do for the next five years. You need to review your email marketing regularly so that you know it is working it’s absolute hardest for your business. 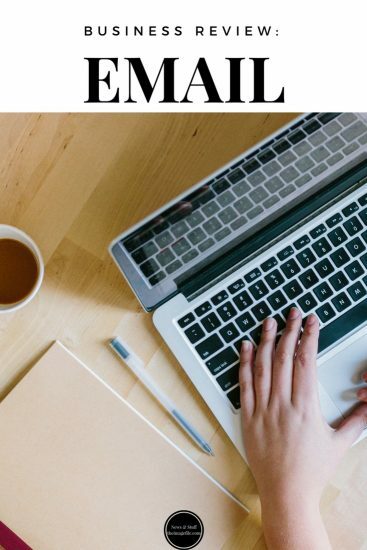 Creating well-crafted email campaigns for your audience takes time, effort and research, so you want to make sure all of that time has been well spent and is bringing you prospects and profit. Try to review your email marketing weekly, monthly and quarterly and maybe try to get in a “deep clean” once a year where you put your new found knowledge to good use.